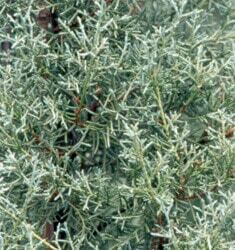 Graceful, upright, pyramidal evergreen featuring silvery-blue lacy foliage. Deer and disease resistant. Prefers hot, dry climates.